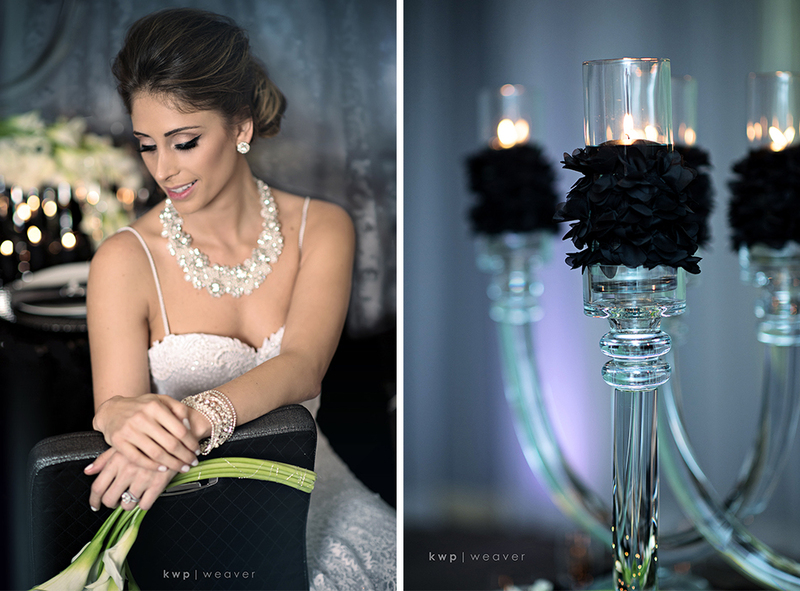 As we continue our series of stylized shoots we wanted to end at the Black Swan. 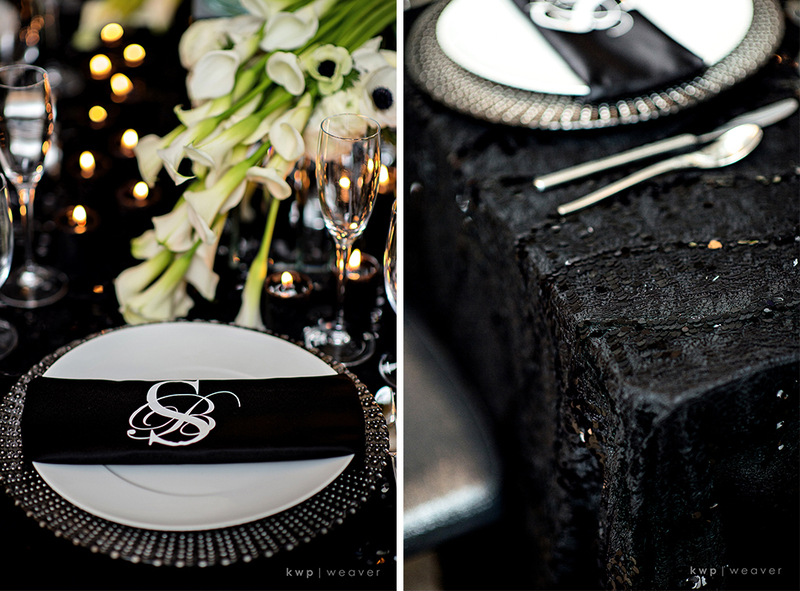 Our most favorite things about this shoot are the mixtures. 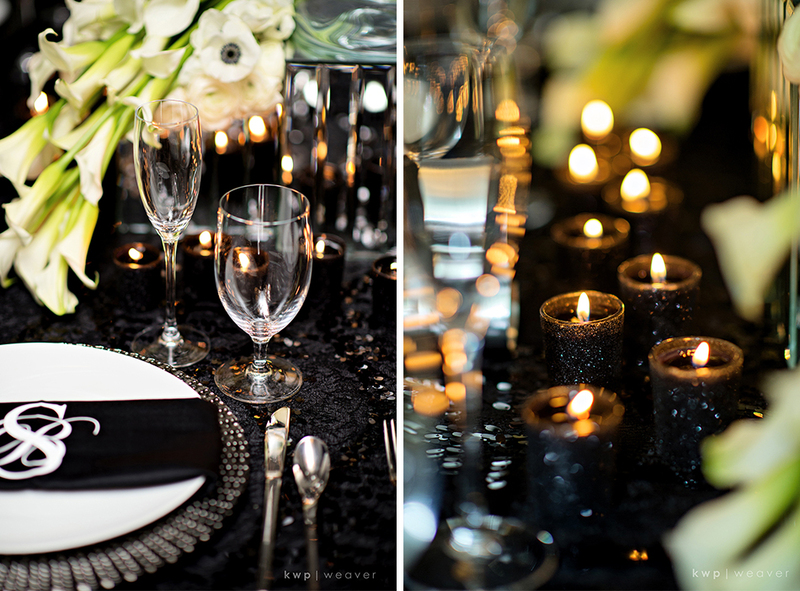 The white up against black, the mirrors mixed with the candle light, and the over depth that all of these mixtures create. 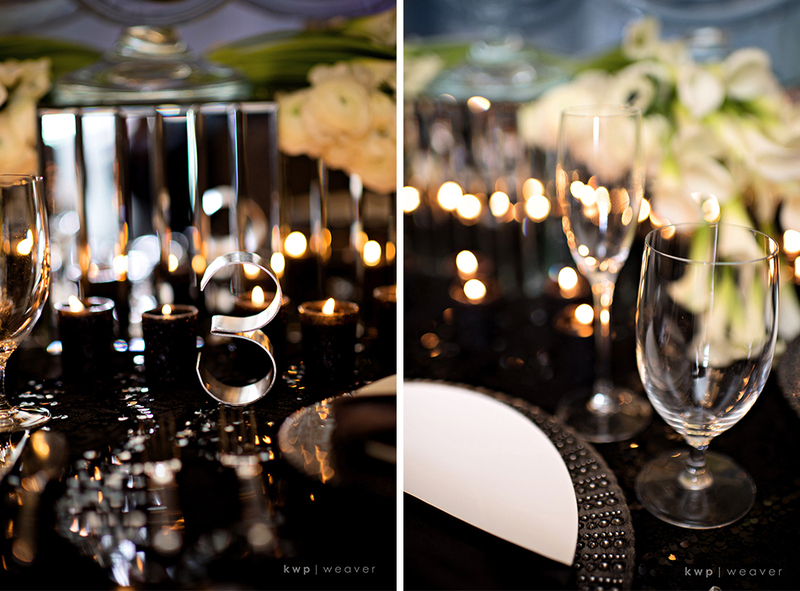 There is something to be said about the simplicity of glass, candles, and reflection. This idea was actually from the movie Black Swan. The movie went to a very dark side of beautiful and it was hypnotizing while still being elegant. 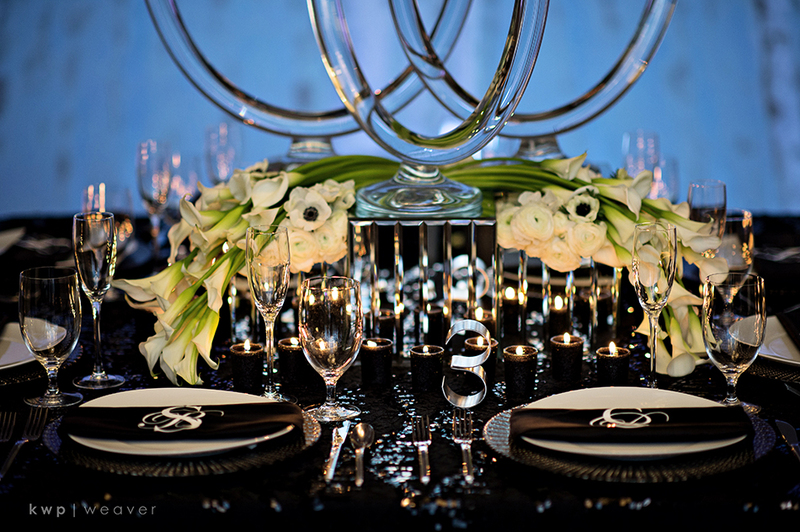 Some are afraid to use darker colors on an elegant event, our advice to you is to go for it but be sure to have reflective surfaces through all of your elements. 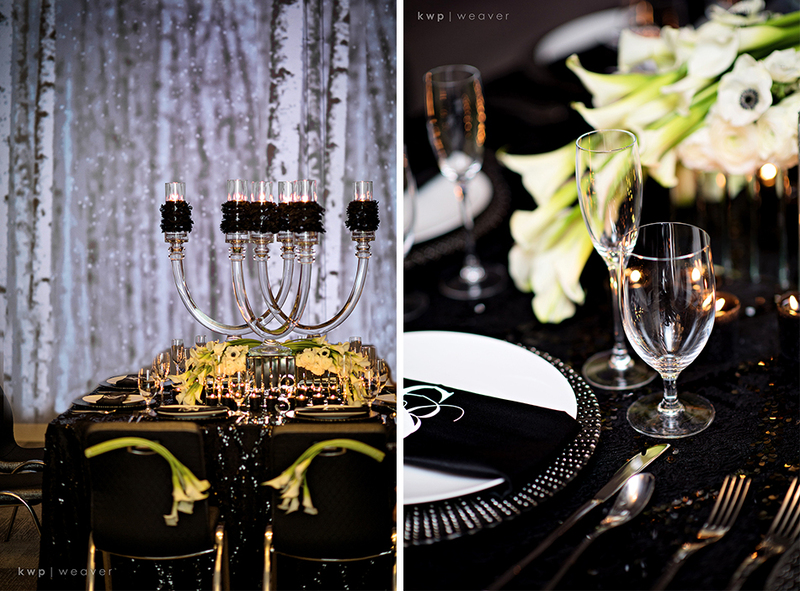 Do not be afraid of sparkle, you can see here it’s not so much a birthday as it is extreme sophistication. No wonder Grace Ormande Magazine picked up this shoot in print. Enjoy! 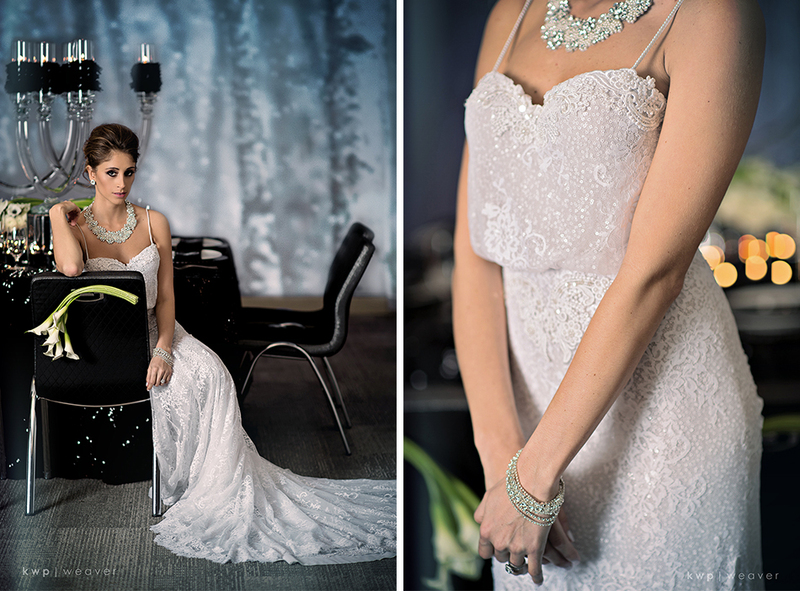 This gorgeous Berta gown was the perfect reflection of our shoot. The styling of the dark smokey eye with the jewels all around her face are stunningly perfect. 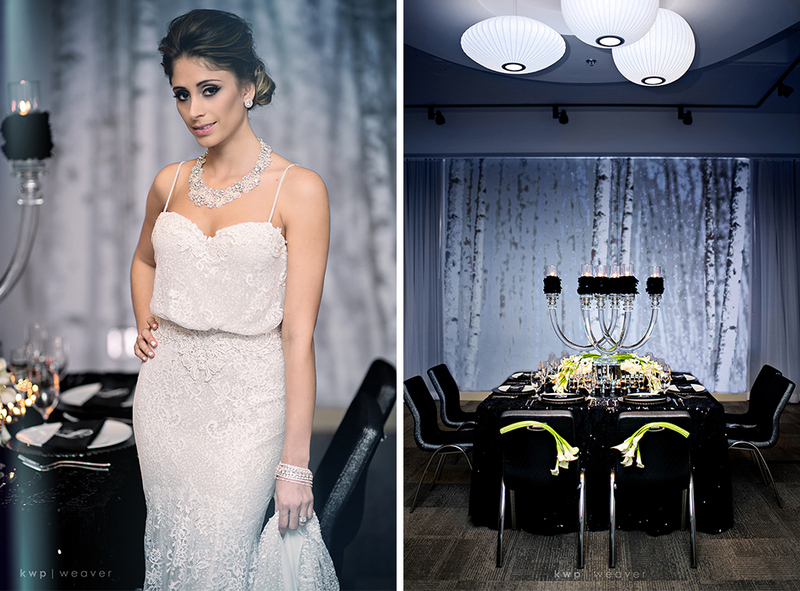 From feather wrapped glass candelabras to the callas that draped into a spilling effect onto the table… this table is perfectly set, ready for her debut. All stemware/flatware/china are the Aloft hotel downtown Orlando. 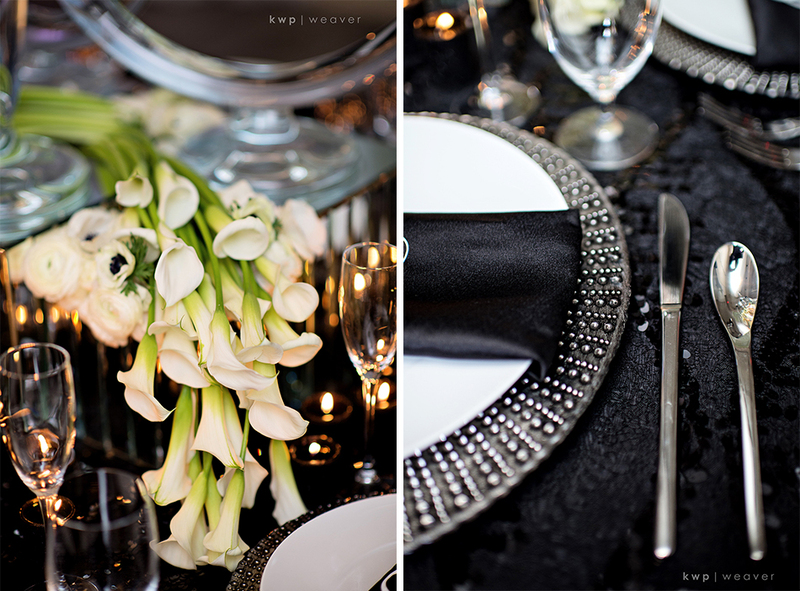 We loved the modern flare of it paired with the deco charger from A Chair Affair wrapped in a black satin napkin that gave contract to the full sequin linen. Vinyl monogram from That’s A Wrap! 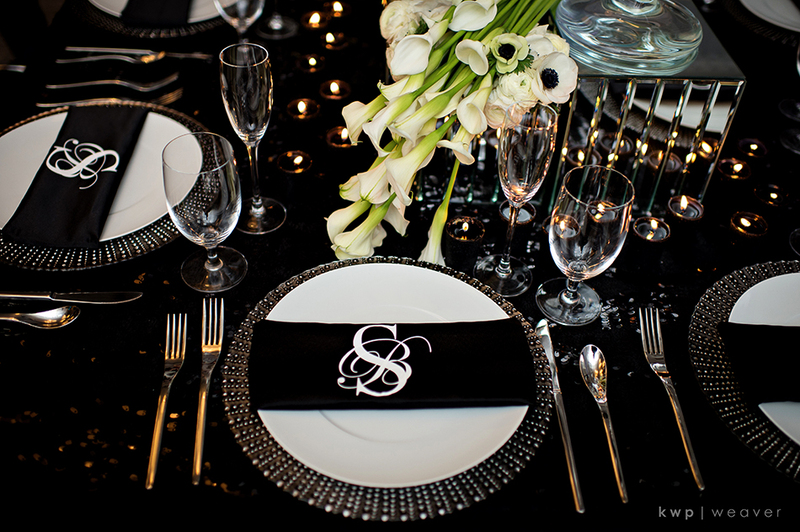 The charger seen here was had just enough masculinity to balance the sparkle linen that draped the entire table. 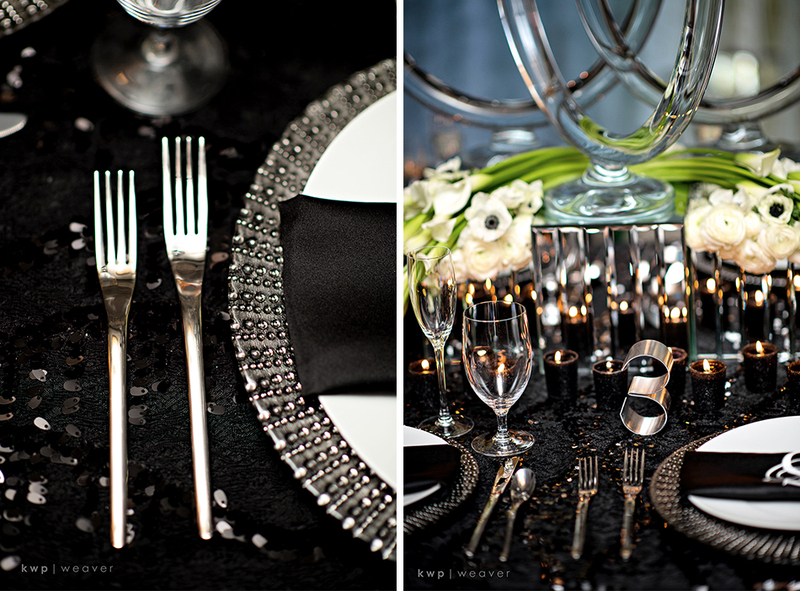 The balance was needed and also tied in the brightness of the flatware. We cannot say it enough, candle light, candle light, CANDLE LIGHT! Pair this is mirrored container and you have romance in an instant! 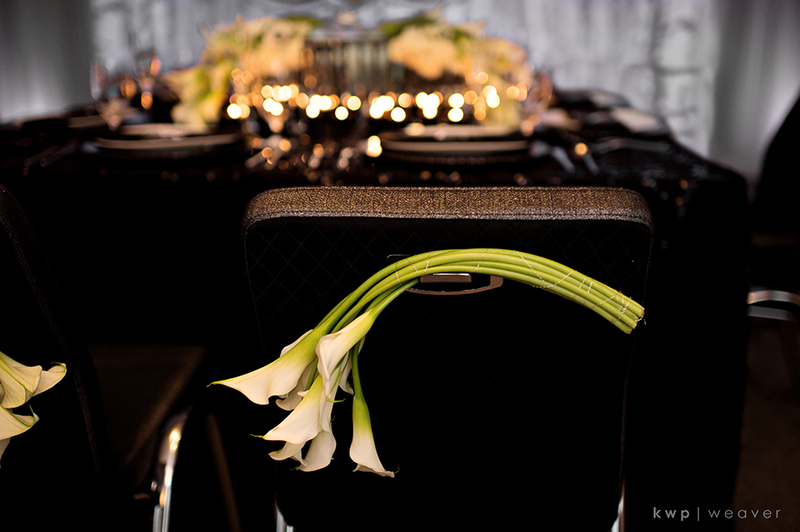 Callas with anemones and ranunculus that bends onto the place settings are a reflection of the bending of the glass candelabras and give this table the ultimate eye candy. 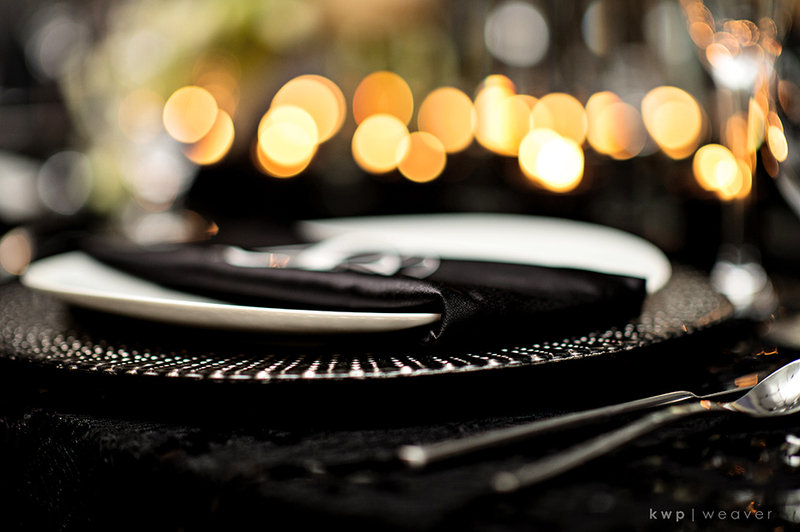 Have your guests’ eye always moving with something new to look at with every turn. Just be sure to make it all flow and think about balance.